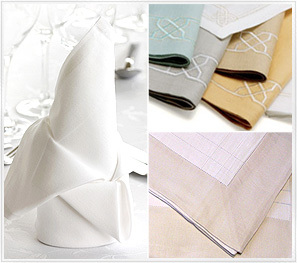 Table linens are all made to measure by the skilled team in the Antibes workshop. There is a wide choice of fabrics and colours creating unique linens to complement any interior. A template is created on board and fabrics are pre shrunk before being made-up to maintain a beautiful finish and constant fit. All fabrics are selected for their suitability and durability which has been proven over time on many of the world’s top super yachts.